It’s been 10 years since I answered my wake-up call and began to radically change my life very slowly. I changed my diet, paid off my debt, decluttered my home until there were empty rooms, cleaned out my closet, quit my job, created work I love, downsized from a big house to a small apartment, deepened my relationships, owned my introvertedness, became soul-centered, and took my life back. I didn’t plan to make all of these changes, but each one inspired and encouraged the next. 10 years might sound like a long time to change, but it feels like the blink of an eye. A scary diagnosis was my wake-up call and invitation to change. I had other wake-up calls, but I was too busy and distracted to answer them. 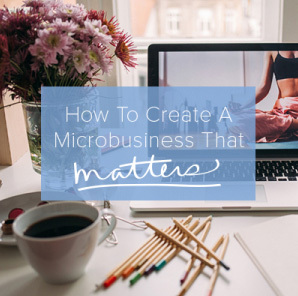 As Elaine St. James so wisely offers, “One of the reasons we keep our lives so complicated is so we won’t have to listen to our inner voice telling us what we need to do to make our lives work better.” I kept busy and distracted so I didn’t have to listen. Here’s the good news … once I made a little time and space to hear my inner voice, to really listen, changing got easier, exciting even. As my inner voice became easier to hear, I was able to connect with my heart, and gain more clarity about what I really wanted in my life. Before then, I forgot I had a choice. The funny part is that even though simplicity was at the core of each change I made, I wasn’t after a simple life. 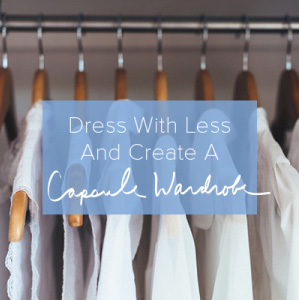 I wasn’t removing the clutter, reducing stress, and rejecting busyness to have a simple life. I was doing it to have a life … a beautiful life that makes me smile at least 99 times a day. My wake up call was a phone call from my neurologist’s office telling me I had Multiple Sclerosis. I didn’t need someone to tell me I was sick to know I was. I knew things weren’t right, but it felt easier to just keep going. How many times have you thought “this isn’t working” or “something’s not right” or “things have to change” – those thoughts and words are from your inner voice. It’s your wake-up call calling. You don’t need a scary diagnosis or major crisis to wake up. No one needs to tell you because you already know. Your inner voice has been trying to tell you, but in case it’s been a challenge to find time and space to listen through the chaos, maybe you’ll resonate with one of these situations. If your life is on auto-pilot, this is your wake-up call. If you never put yourself first, this is your wake-up call. If you’ve become someone you don’t recognize to please other people or to chase some version of success that doesn’t resonate with you, this is your wake-up call. If you are constantly numbing out with food, shopping, booze, tv, or other distractions, this is your wake-up call. If you are worn down, beat up, stressed out, and completely depleted, this is your wake-up call. Getting your wake-up call is not the hard part, answering the call is. Choosing to answer the call instead of ignoring it is hard, because you know if you do, things are going to change, and change is scary. That said, not changing is worse, especially after you know. You are brave and strong enough to answer the call. 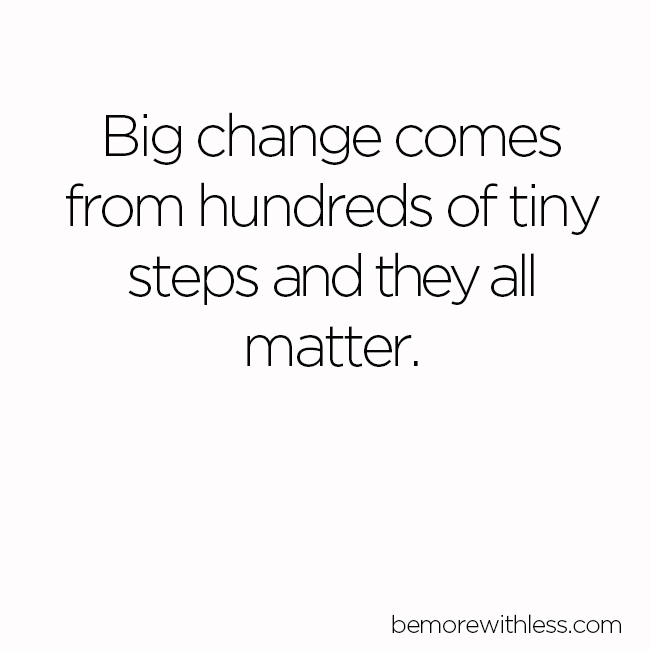 Big change comes from hundreds of tiny steps and they all matter. You don’t have to have a perfect plan for the next 10 years or even the next 10 days. All you need is an open heart and the next step. Not all the steps, not a big step, just the next one. People tend to think radical change has to happen overnight, but I think it’s helpful to remember that by frequently making small changes, we can end up with whole new lives. Thank you for reminding that i have to answer my wake up call which i hear daily. 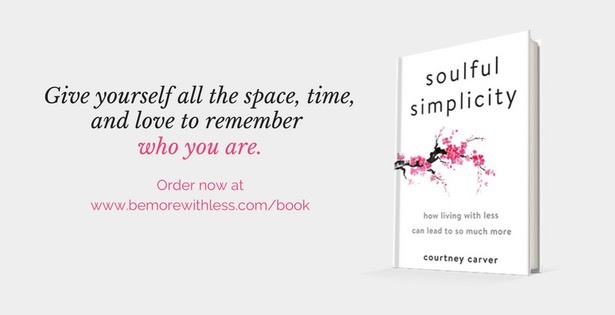 Thank you Courtney, for another lovely reminder that a simple life is a gentle life. I feel like much of my life has been on autopilot, so I definitely needed this. Thanks! Wow! My Wake Up Caller must have me on speed dial – I said “that’s me!” to all five of your bullets! I do believe reading this is my wake up call – thank you! This post came at an important time for me. I’ve been wrestling with a vocation in the Church for 18 months now. My existing response to life was no longer working (as a relatively senior lawyer in the UK Government). The new course is so counter-cultural but it seems right for me now. I know you do not write from a religious perspective but in a moment of doubt and anxiety I returned to your website and came across this. It was most helpful. As a lawyer in an in-house legal department in London, all I can offer is that change is possible. I took a demotion to work four days a week so that I can do a Masters in Psychotherapy- at age fifty. All baby steps, but all predicated on a willingness to believe that I can be “that person” who changes their life. I previously thought that change was for other people. I couldn’t cope with less income, more uncertainty. Turns out that I could and I have. Good luck on your journey and ask yourself truly: at my funeral, do I want people to say “it was a life well-lived”? You cannot imagine how insightful this article has been for me! “If your life is on auto-pilot, this is your wake-up call.” I got so caught up with my hectic schedule lately, that I didn’t even realize how robotic I’ve become. I definitely need to take a step back and reassess my life a bit. Thanks for this great article! Those small steps count more that you can ever imagine, I love how the quote fits the entire read, thanks for sharing. “If you are constantly numbing out with food, shopping, booze, tv, or other distractions, this is your wake-up call. If you are worn down, beat up, stressed out, and completely depleted, this is your wake-up call.” What a wonderful intent to wake up a dormant planet!